22/02/2012, the date Garage Club was established. That was more than 10 years ago and yet the club is still going strong until today. It currently has 20-30 members who actively participated in gatherings and events. Michael, one of the members, shared that the key to the club’s longevity lies in its regeneration. Regeneration in the sense of actively accepting new members as part of their crew. Garage Club also doesn’t list any particular style of modification as a requirement in joining the club. Looking at the featured image of this post, you can see a quite interesting Z. There are plenty of bodykit styles available for the Z in the market, and the owner of this particular one has chosen something quite peculiar: the Kenstyle bodykit. It’s undoubtedly different. Next to it is a C Class sitting on a set of nicely fitted BC Forged wheels. The black and light gold theme works so well on this Jazz. 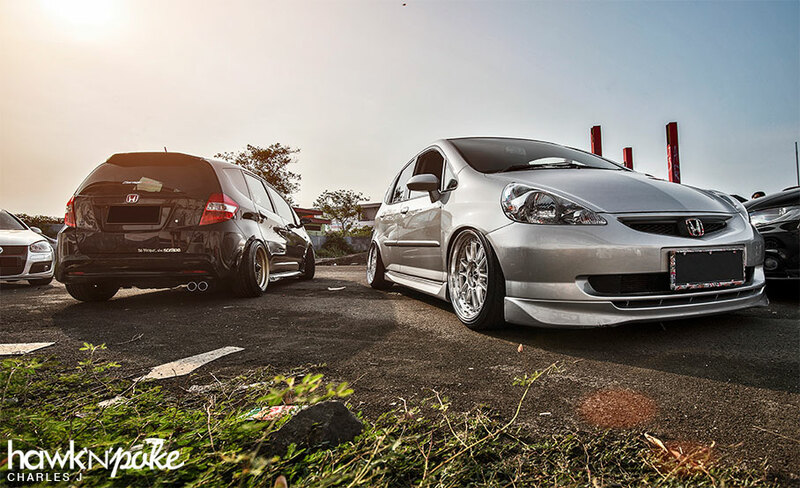 It looks fresh in the Indonesian scene and the fitment is quite spot on. 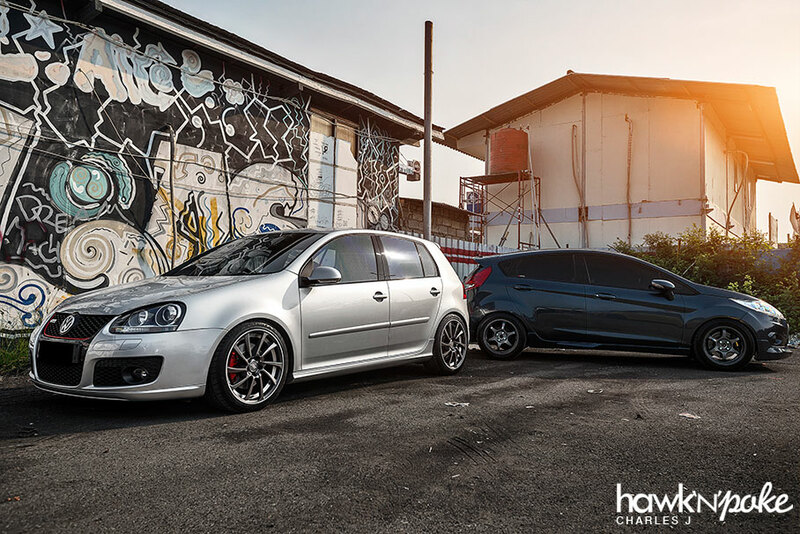 Anthony’s GTI next to it, on the other hand, has been given more performance oriented upgrades. ABT wheels and Stage 2 upgrades are among the long list of modifications. The Fiesta on the right is now owned by Michael. It’s the one we featured some time ago that’s been fitted with Milltek Full Exhaust System. If you have any questions regarding Garage Club, please feel free to post them up through our commenting system below! Also, if you want your club to be featured, do contact us through our contact page.